Young clerics in Iran’s seminaries and affiliated universities in the sacred city of Qom show a new pluralism and appreciation of non-Islamic disciplines, suggesting the emergence of a more “open and malleable religious life,” through there are also new signs of militancy in these schools, according to two studies. In the journal Sociology of Islam (5: 2017), Abbas Mehregan writes that in the last two decades, Iran’s leading seminaries and centers of religious life have undergone significant modernization, with areas of study going far beyond Islamic jurisprudence to include social sciences, philosophy, comparative religion, gender studies, and law. “Technological developments have brought students of seminaries and clerics into contact with the foreign world,” leading to the formation of somewhere between 150 and 400 new research centers, providing the opportunity for clerics to get familiar with research methods in the modern human sciences and to investigate Islamic topics from a new perspective. Today, “Islamic theology and sharia are promoted in chat rooms and religious questions are answered online…virtual seminaries have been established, and many seminary students, including 2,000 female students have started to create blogs,” Mehregan writes. At the same time, Iran’s seminaries are undergoing a process of “securitization,” according to a study in the journal Contemporary Islam (online April 17). An influential organization in Iran known as the Clerical Basij, which was formed to regulate and suppress dissenting and opponent clergy, has expanded its reach in the country’s seminaries, writes Saeid Golkar. 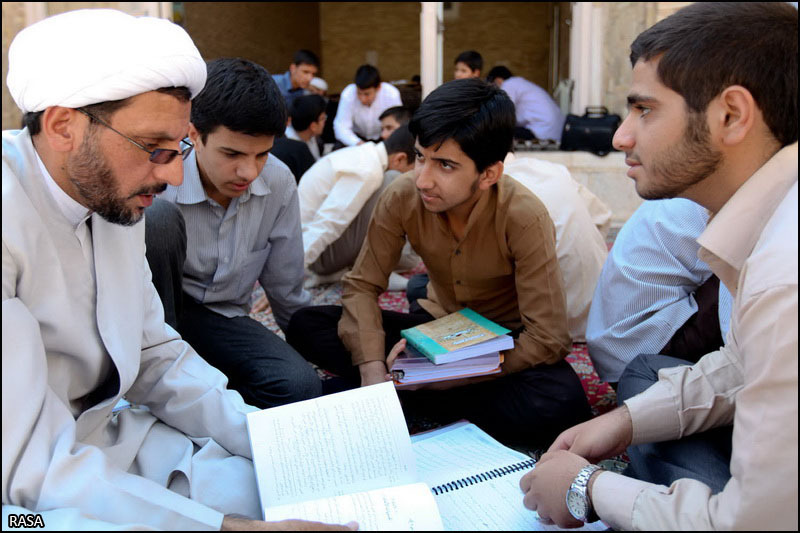 Iran’s Supreme Leader Ayatollah Khamenei has created an insider’s network of seminary students and clergy, which ensures that seminaries and the clergy connected with them do not publicly criticize the Islamic regime. This growing contingent of “clergy security” has the “upper hand” compared to other political and clerical elites, Golkar concludes.